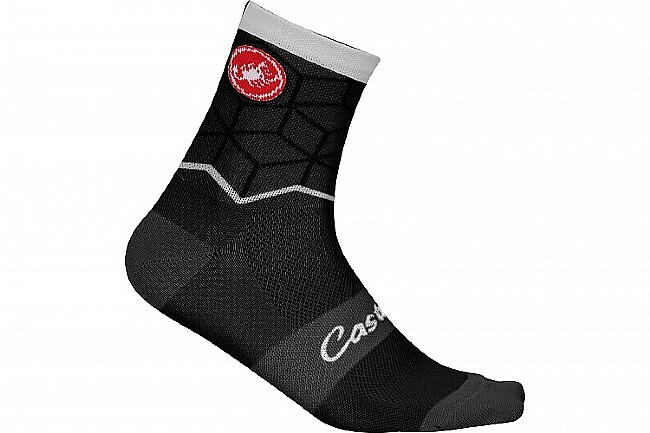 Rejecting the tall sock trend that currently runs rampant through the cycling world, Castelli's Women's Vertice Sock measures in at a modest 3.5" height, blending form and function for a sock that is as comfortable as it is attractive. 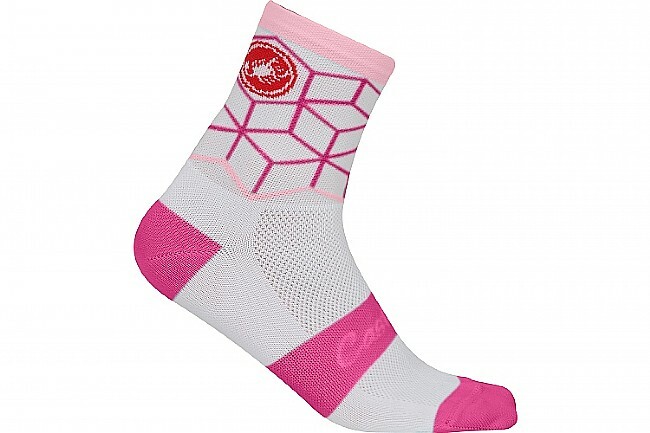 Featuring eye-catching designs that compliment your personal style, these socks are constructed from Meryl Skinlife fabric for a breathable fit that prevents odor and bacteria from building up. Sizes S/M, L/XL, and 2X-Large. 3.5" cuff.